Feared above all other dragons is the species of wyrm that makes the swamps and bogs its home. For it nests near shallow pockets of marshland gas, which it knocks loose and burns with its fiery breath whenever intruders come near. 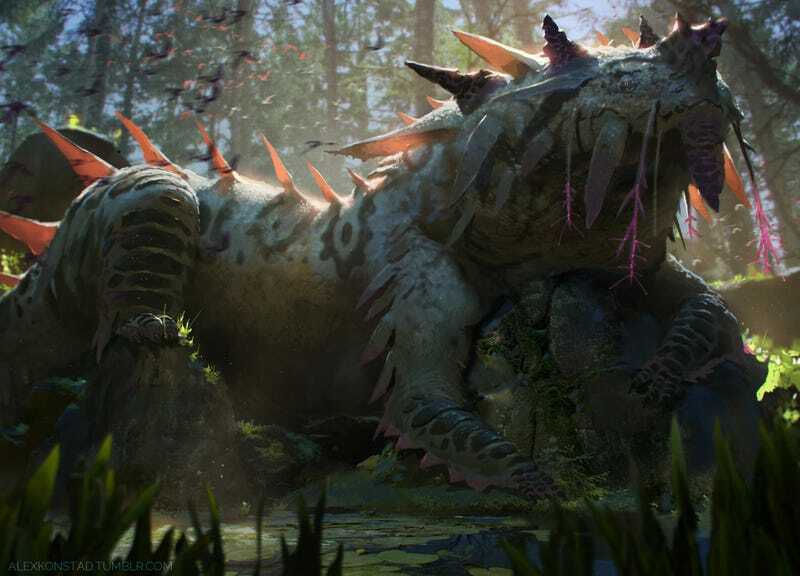 "Swamp Dragon" is by Alex Konstad, whose work you can follow on deviantART and Tumblr, where he has plenty more fantastic creature paintings.